© Ignazio Graziosi. All rights reserved. 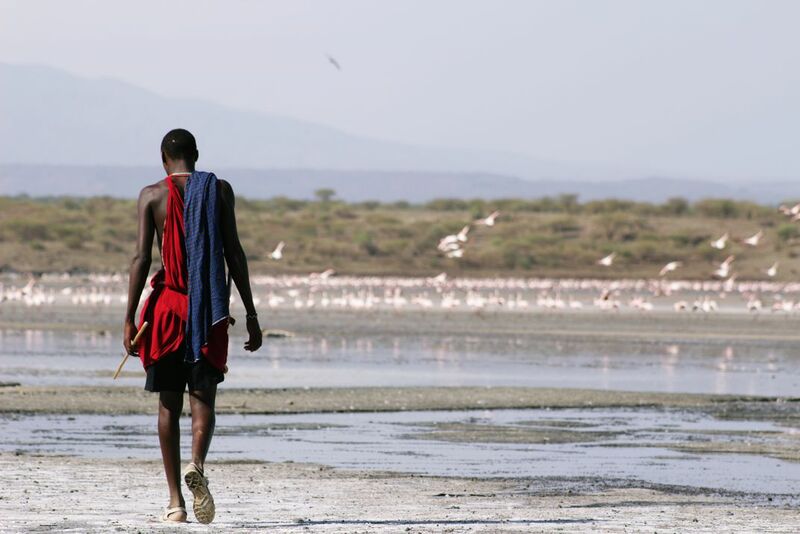 Maasai man walks towards a flock of lesser flamingo on the edge of the alkaline Lake Magadi, in the southern Kenyan Rift Valley. Soda extraction started in 1911, and tensions between the soda company and local Maasai occasionally arise. Many Maasai are available to guide visitors exploring Magadi rugged beauty. Date Uploaded: June 21, 2017, 9:04 a.m.